Mirror, Mirror on the wall, who is the fairest one of all? 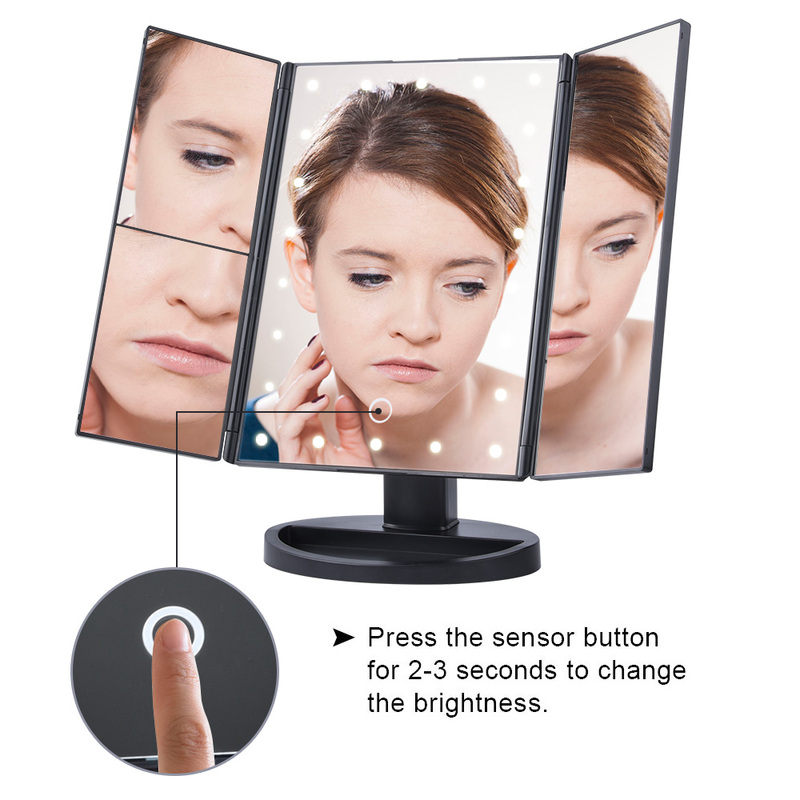 Brighten up your beauty regime with this LED Lighted Vanity Trifold Makeup/ Shaving Mirror that ticks all the boxes. 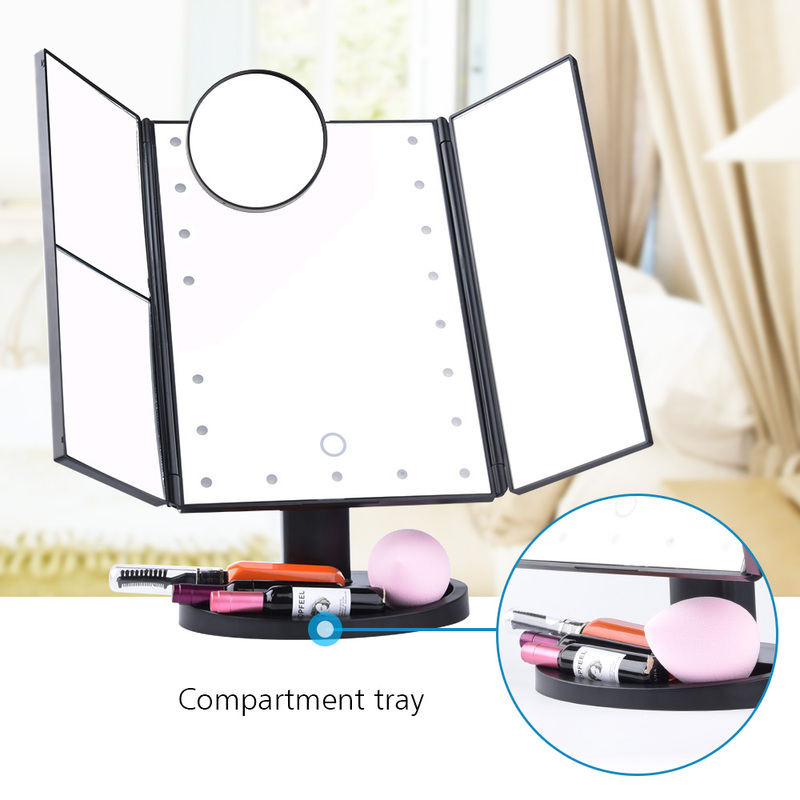 Every makeup lover’s dream, this trifold mirror is an absolute essential. Framed by 22 dimmable LED lights, you can adjust for optimum illumination. Whether you’re applying makeup, styling your hair, or indulging in some skincare you can easily find the right light setting. Built in 22 LED lights by touch sensor switch. Dual power supply mode: Operated by Micro USB cable supply or 4AAA batteries. 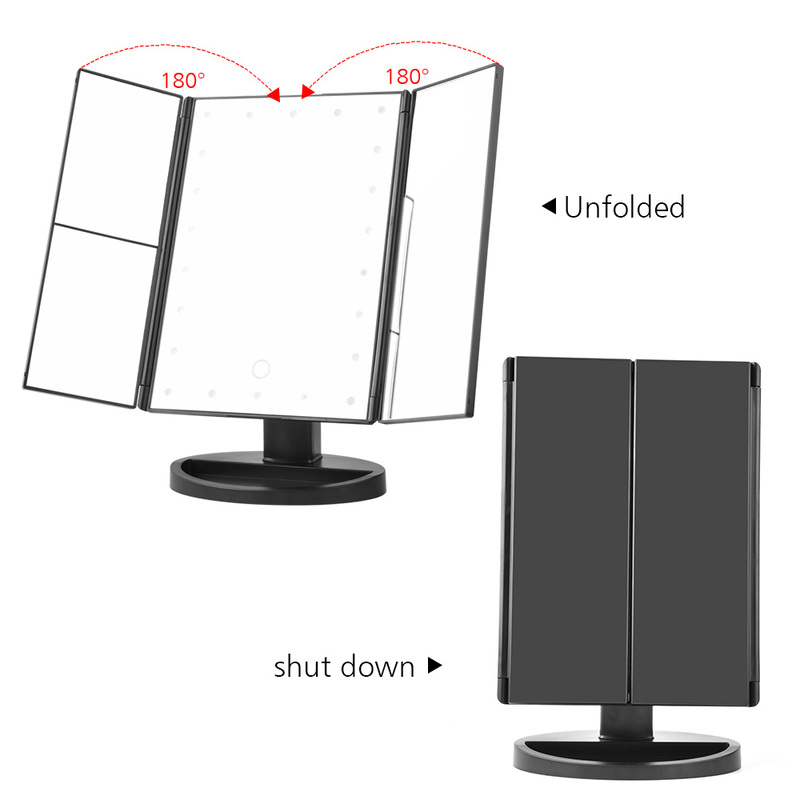 With 180° degree rotation, can be fixed at any required position. 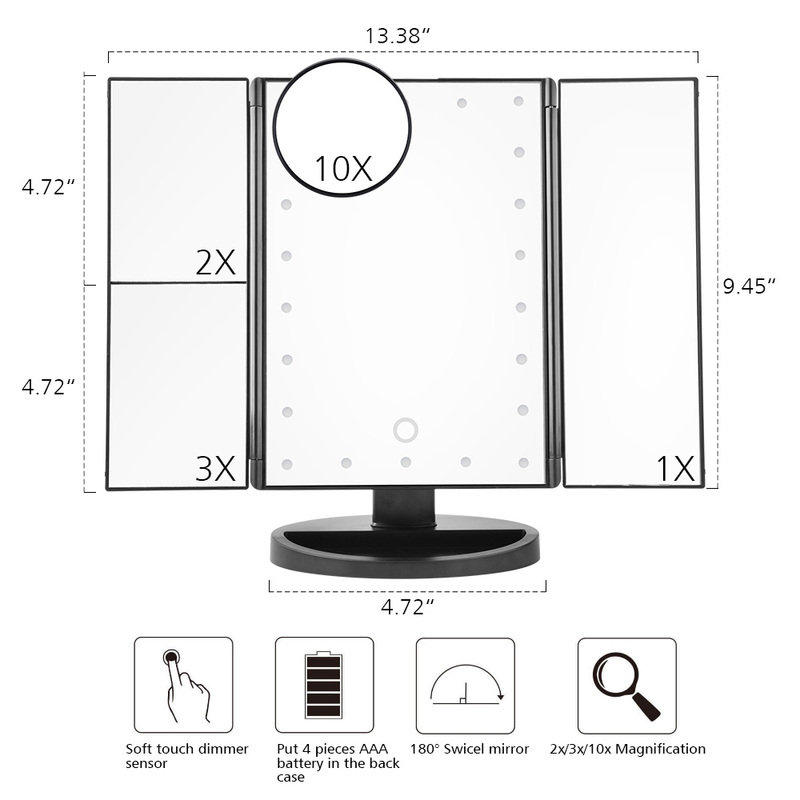 3 panels vanity mirrors provided with wide angle viewing. 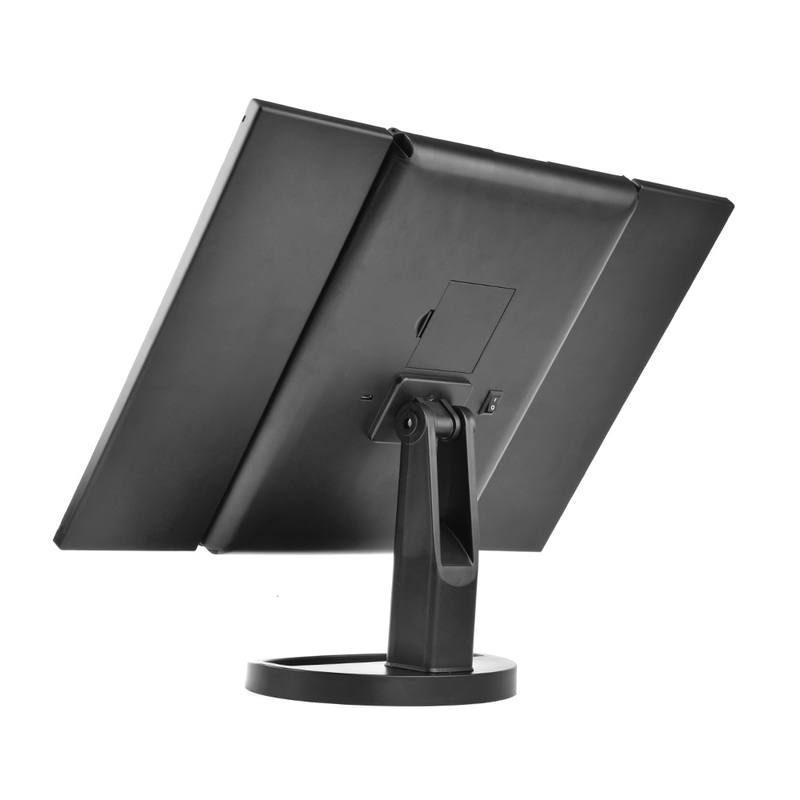 Made from premium ABS material and mirror glass with scratch resistance surface. Perfect gift for ladies and girls. Received this long-awaited mirror, and it is fully justified with my expectations! Well packed. The package came quickly. Just like in the pictures. Like. Is fully consistent with the description! Build quality and excellent quality of materials. Received within 5 days from the date of order!. Thank you very much. Brought home a courier 30 dec. Everything is fine. Buy a gift daughter, she loved it! I like that it charges via the USB port and you dont necessarily need batteries. I didnt have any batteries when it arrived but I was still able to use it right away with my USB charger. Its shorter than what I thought. But all of the mirrors and the lighting work great. It gets REALLY bright and dims too. This was half the cost and arrived in a few weeks. Im very pleased with this. So much so, I bought another one just like to for travel.